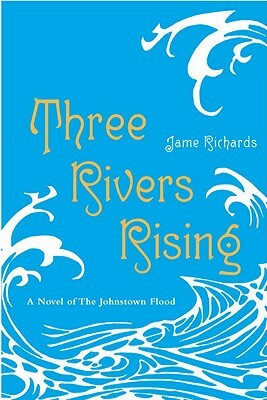 Sixteen-Year-Old Celstia spends every summer with her family at the elite resort at Lake Conemaugh, a shimmering Allegheny Mountain reservoir held in place by an earthen dam. Tired of the society crowd, Celestia prefers to swim and fish with Peter, the hotel’s hired boy. It’s a friendship she must keep secret, and when companionship turns to romance, it’s a love that could get Celestia disowned. These affairs of the heart become all the more wrenching on a single, tragic day in May, 1889. After days of heavy rain, the dam fails, unleashing 20 million tons of water onto Johnstown, Pennsylvania, in the valley below. The town where Peter lives with his father. The town where Celestia has just arrived to join him. This searing novel in poems explores a cross-class romance—and a tragic event in U. S. history. Jame Richards lives in Monroe, Connecticut. This is her first novel.